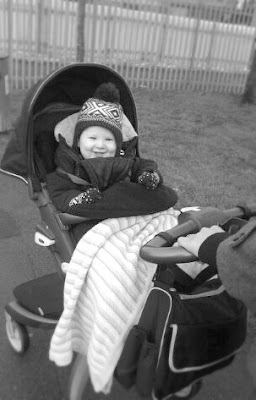 For a start I just love them and the whole process of choosing one, for another our little guy wasn't so little when he was born and has continued to grow at the rate of a beanstalk so he did tend to grow out of each pram/pushchair very quickly. If he fell asleep as his neck would be crooked or his legs hanging over! Having said that we've had some really great pushchairs which despite not fitting him for long I have found to be great in other aspects and would recommend to other mums. 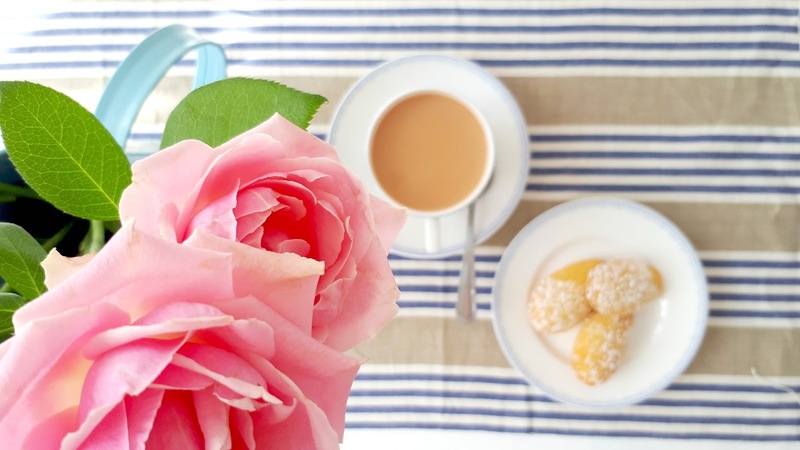 The Stokke was my first choice when I found out I was expecting first time round. 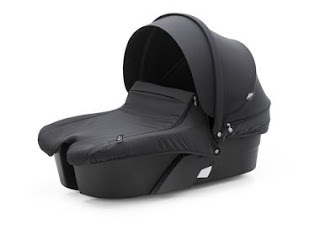 I loved the design and Stokke's ethos on having baby higher up which protected them from car fumes, made them less vulnerable than at a lower level, give them the ability to connect at eye level to promote connection and gave them a better view of their world. Stokke's are at the higher end of most people's pushchair budget and once you have added the carry-cot for use from birth and other accessories the bill soon adds up. I was happy to purchase our second-hand and managed to find a very reasonably priced V2 model in black. 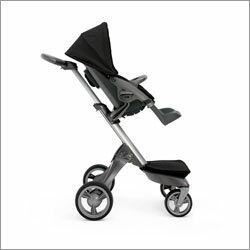 I think Stokke's really are set apart from other prams in terms of having such eye catching designs and ingenuity. As well as being smooth to push and great for taller people like my husband, it is simple to put up and down, easy to recline and has a very tidy looking hard bag that sits on a plate at the front. The Xplory has a separate cot for use from birth; the seat can be used from 6 months and faces both ways. It is also possible to use the maxi-Cosi Car Seat on the Xplory with the use of adapters. The seat moves up and down the pole which is a great feature that I haven't found in any other pram. The pros are numerous with the Xplory; the height of the seat being the main one, it's wonderful to be able to see your baby and be able to engage with them at that level, and for a very curious baby like ours was, he loved being able to see everything and feel so involved. The foot plate extends well for little legs to rest on and the wishbone shape of the bottom meant my tall husband could use it without hitting the bottom of the chair when he walked. The handle bar's position can also be changed as well as being made taller and shorter- another feature my husband liked! The only cons of the Xplory for me were that it was difficult to get onto public transport due to the low foot plate if you were on your own and was wobbly if going over rough terrain which was inevitable with such a high seat; saying that for me it felt stable and the weight evenly distributed enough to avoid it toppling over altogether. The actual seat could also have done to be a little wider- as you can see above, with his little snow suit on it was a bit squashed in there. I'm not sure whether the newer Stokke's have wider seats. 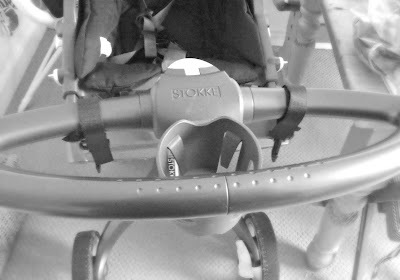 Stokke are an impressive company as they really do seem to put serious thought into their pushchairs. Since I had the V2 over three years ago they have released the Xplory (Evo), The Crusi, The Scoot and The Trailz; Each one with different features depending on their terrain use. 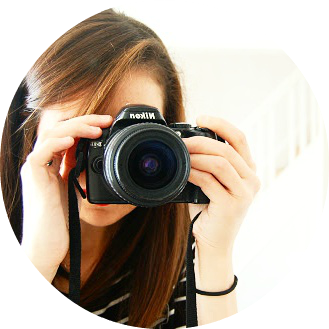 I'll be sharing my thoughts on our other prams soon!